Kick start Father’s Day by encouraging your Dad to adapt healthy Hurom habits. Juicing is a convenient and delicious way to get nutrients from fruits and vegetables every day. Hurom’s innovative cold-press technology helps fruits and vegetables retain their nutrients and taste better than traditional juicers. It used to be that fitness wasn’t high on the goal with dads, hence the term ‘dad bod’, but these days, dads are increasingly getting into running and triathlons, and all manner of sports activities that some dads have become fitness goals. 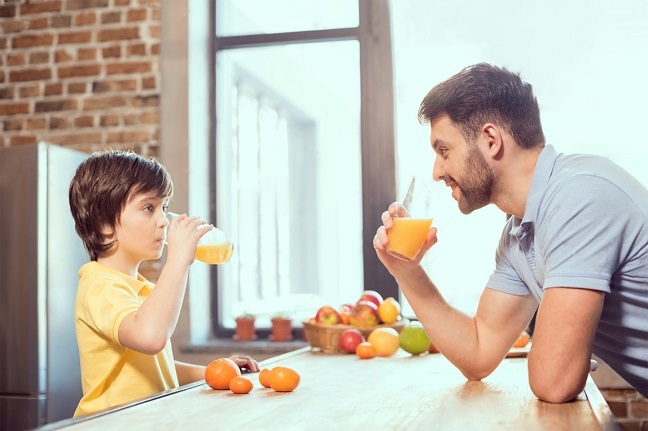 But no matter your dad’s level of fitness, all dads will benefit from more intakes of fruits and vegetables, and this is infinitely easier with juicing. Like most homemakers, I naturally spend hours upon hours everyday in the kitchen. I’ve been at it for so long that I’ve come to appreciate kitchen products that spell the difference between regular kitchen products and ones that are efficient, that make the rather mundane things more convenient, enjoyable even.